Calories are extremely important when it comes to our diet, because our bodies use calories as a source of energy. This energy is used to carry out every process within the body, so without calories we would cease to function. Throughout evolution the body developed ways to store this energy, which historically was scare. This was an adaptation humans used for survival. Fortunately today calories aren’t scare in the diets of most people, however we are no presented with the opposite problem; we are consuming too many calories and are becoming overweight. Many people are now really concerned about their caloric intake because of the effect it has on their weight as a whole. 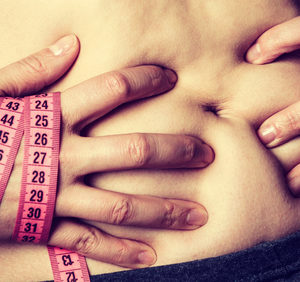 What Is Body Fat and What Is It Made Of? 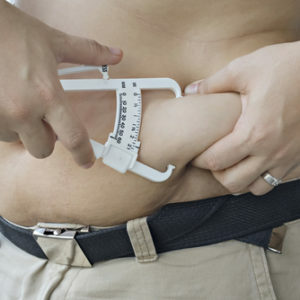 It is important to know that body fat or adipose tissue doesn’t consist of 100% lipids themselves, but also consists of proteins, waters and other material as well. People who don’t know this think it takes 4100 calories to lose a pound of body fat when it takes roughly 600 calories less to do so. We know that one pound is roughly 455 grams, but body tissue is about 86% fat meaning that the amount of calories that you need to lose a pound of body fat would be less. Another mistake people make because of this simplistic view they have on fat and how the body processes food is that cutting calories by a significant amount can be a viable long term weight loss plan. They may be effective in the short term, but if you are cutting 25% of your daily calories or more for an extended period of time, it will eventually catch up to you. Weight loss slows over time, so cutting those calories is only going to be so effective in doing so. Afterwards it causes the body to gain weight back, and you will have less energy as well, causing you to burn fewer calories. If you starve yourself of too many calories the body will start to cannibalize itself getting the necessary nutrients from other tissues, mainly the muscle. How many calories you need to eat to lose weight is going to depend on a few factors. It is mainly going to depend on your size, and your activity level. The bigger you are and the more active you are, the more calories your body is going to need. Many people forget that the body even need calories to function when we are at rest to carry out thinks like brain, heart and functioning of other organs. Another thing to consider is not only the amount of calories you are getting, but where they are coming from and how often. Eating all of your calories in one sitting as opposed to spreading them out over the course of an entire day is going to affect you much differently. In addition to that, the foods you get the calories from make a difference as well. You want to be eating foods high in fiber which can help slow down digestion, and reduce spikes in blood sugar levels. Eating foods high in protein are shown to reduce cravings as well, so make sure your diet has plenty of protein too. Avoid sugary drinks when possible because it is very easy to consume a lot of calories in a short period of time by doing so. Drinking a soda for example doesn’t take long to do, so it doesn’t release as much dopamine and hence doesn’t make us as happy as eating a longer meal would. This makes us crave more food, however the soda itself has given us more than enough calories. Sugary drinks not only have a lot of calories, but because they are in liquid form they are almost immediately digested and absorbed by the body which spikes the level of sugar in the blood. This leads to problems like type ii diabetes and also leads to obesity. Sugary drinks are one food item that we don’t need in our diets and its really bad for our health. If you can cut one type of food out of your diet to lose weight, sugary drinks are arguably the best choice. Next ArticleWhat Should You Do When You Get a Stress Fracture Exercising?